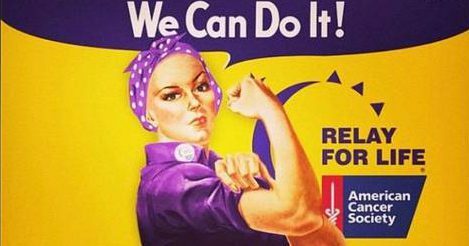 This year marks Sound Family Medicine’s 18th year participating in the American Cancer Society’s Relay for Life, happening on July 20th. The relay is located at Sunset Chevrolet Stadium, right off of Sumner’s Main Street, and runs for 18 hours – from 6pm Friday night to 10am the following Saturday. Again this year, SFM hosting a booth Friday night and gathered a team of wonderful staff, family, and friends to help fight for a cure. Relay for Life looks to raise money for cancer patients by having teams walking consistently for the duration of the event. This is to signify that cancer never sleeps, and to honor those who fight for their lives every single day. Each team has at least one member on the track at all times to signify their solidarity with cancer patients and survivors. Participants also light Luminarias after sunset to remember those who have passed away, to celebrate survivors and to reassure those currently fighting that they are not alone. If you’d like to know more, or make a donation to American Cancer Society, you can do so here. Visit the Sound Family Medicine Relay for Life page. Learn how the American Cancer Society recently recognized Sound Family Medicine for our support. Read about why we Relay for Life.